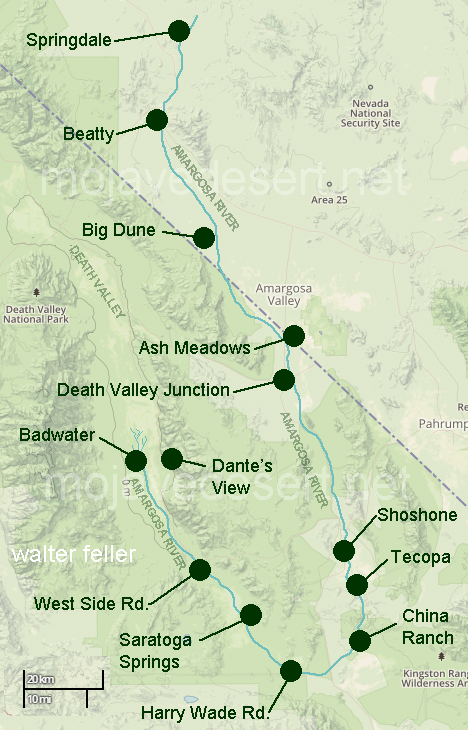 The Amargosa River originates in the mountains surrounding Beatty, Nevada, flows through the Amargosa Desert region, and terminates at Badwater in Death Valley National Park. The Amargosa is about 125 miles long, but after winding around to its end, the river has only traveled about 50 miles to the southwest of its genesis. Most of the river course to Badwater is underground, but about seventeen miles of surface flow exist in the areas of Shoshone, Tecopa, and the Amargosa Canyon. This perennial surface flow has created lush riparian and wetland habitats that support endemic and sensitive species. 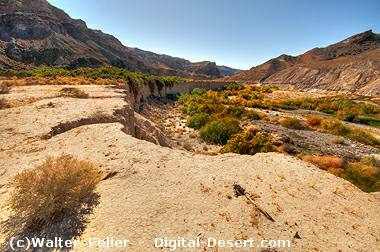 The Amargosa Canyon contains some of the lusher cottonwood-willow gallery forest in the Mojave Desert. 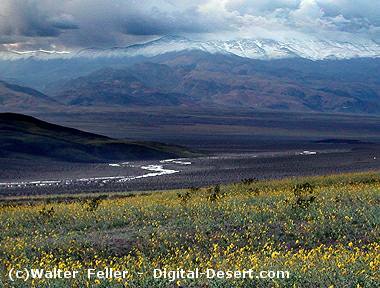 A virtual photo tour of the Amargosa River starting in Beatty and continuing downstream to Badwater in Death Valley.